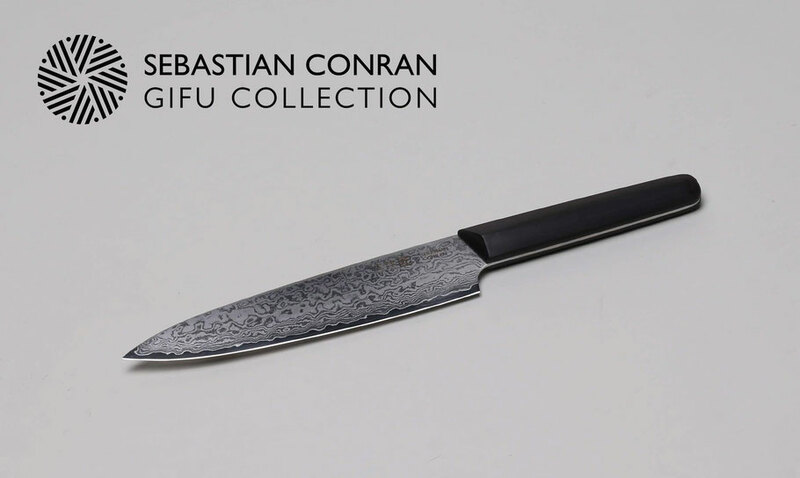 SEBASTIAN CONRAN GIFU COLLECTION emphasize hand-work of craftsmen and rich history behind “MADE IN GIFU” traditional crafts. Crafts have been handed down to posterity since they carry universal value. British designer Sebastian Conran proposes traditional crafts with a new design adding universal usability. 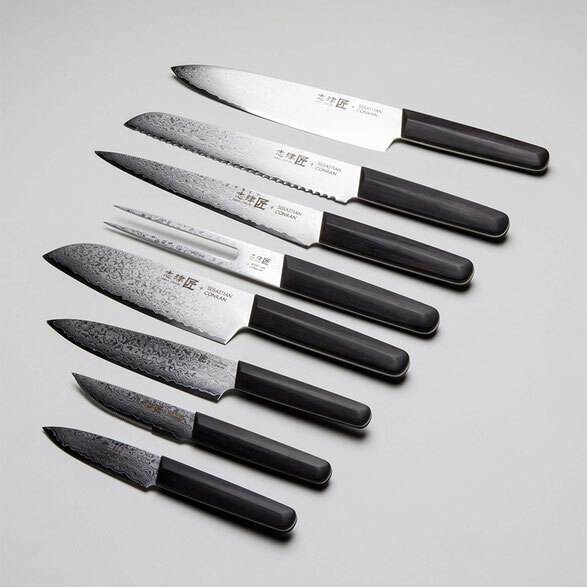 Mountains of Gifu and famous Handicraft, ORIGAMI, inspired Conran a new and unique shape of handle. His request tested very skilled and long inherited metalwork and woodwork in Seki-city where legendary swordsmith MOTOSHIGE opened his factory 700 years ago. 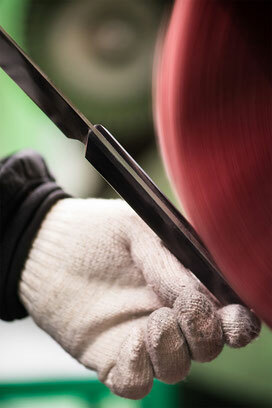 Very precisely handcrafted metal blade and wood handle allow the knife without anything vain. Structural character is classified as “HONDOUSI” which are favored by Chefs since its homogeneous weight balance. 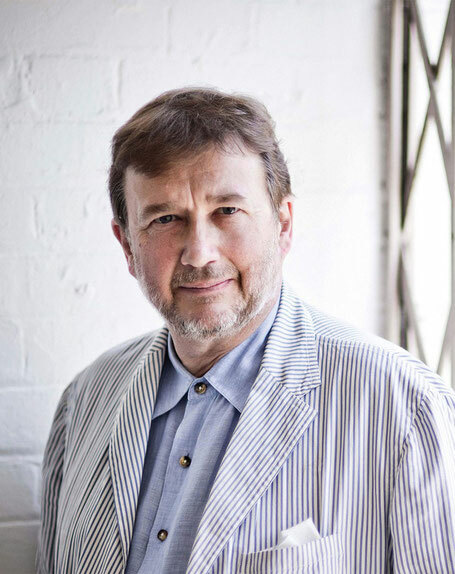 British designer and managing director of Sebastian Conran Associate (S.C.A.). Conran wan born in 1956 in London and the eldest son of Terence Conran, designer. Conran established S.C.A. in 1986 and has designed for John Lewis (department store chain). Companies from all over the world consult Conran to develop products and brand. He has taught at the Royal College of Art and writes articles, books and paper. Government of Gifu prefecture in Japan invited Conran to develop products with companies in Gifu. In 2017, the party exhibited products in MAISON & OBJET. *This photo is of the damascus series.